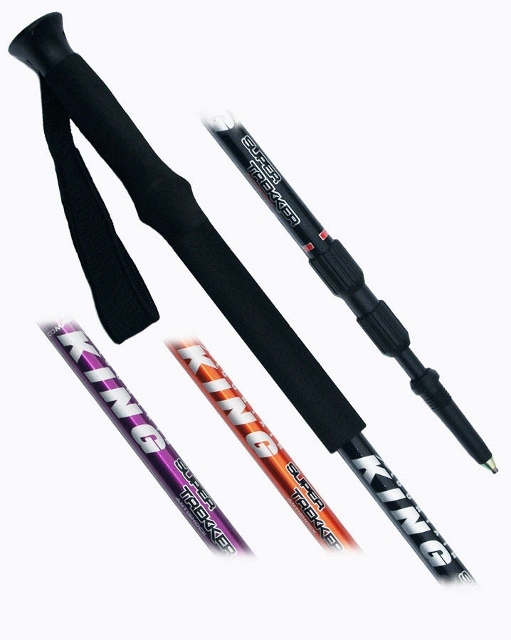 Mountain King - Our favourite walking poles. Made in the UK (up north) and from top notch 7000 grade aluminium. Our customers have trekked with these all the way up Mount Everest - and down again. Solid, no rattling and a brand to rely on. Switchable On/Off anti-shock. Length 65 to 135cms.